63 search results for "log insight security"
Here it is, the blog post you have all been waiting for — Log Intelligence versus Log Insight. Well, actually it is Log Intelligence and Log Insight.The post will answer why two products with two different names. Read on to learn more! Log Insight 4.6 Available Now! I am happy to announce the release of Log Insight 4.6. As always, this release has a ton of new features. Read on to learn more! Continue readingLog Insight 4.6 Available Now! It is my pleasure to introduce VMware Log Intelligence — a new VMware SaaS offering as part of VMware Cloud Services. What is it and how you can try it out? Read on to learn more! Did you know Log Insight has the notion of a master node and a leader node? Do you know the differences about the roles? Read on to learn more! Log Insight has always shipped with the General and vSphere content packs. Several enhancements have been made to these content pack in version 4.5. In addition, more content packs are now included out of the box. Read on to learn more! Log Insight 4.5.1 Available Now! Hey everyone, I am a little delayed but wanted to let you know that Log Insight 4.5.1 is available now and I highly recommend you upgrade to this maintenance release. Read on to learn more! Continue readingLog Insight 4.5.1 Available Now! I recently had an issue with my Macbook Pro and used Log Insight to track down the issue. 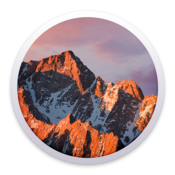 In the process I realized I have not blogged about how to configure macos to log to Log Insight. In this post, I will cover the steps. Read on to learn more! Log Insight 4.0 changed the default option of “ssl” from off to on as I covered in this post. Using encryption by default is a best practice, but you should be aware of the four SSL parameters that can be set in the [server] section of the Log Insight agent configuration. Read on to learn more! Log Insight takes customer experience seriously. The number two request on the Log Insight community was to improve alerts. I am happy to announce this feature is available in Log Insight 4.0. Read on to learn more!